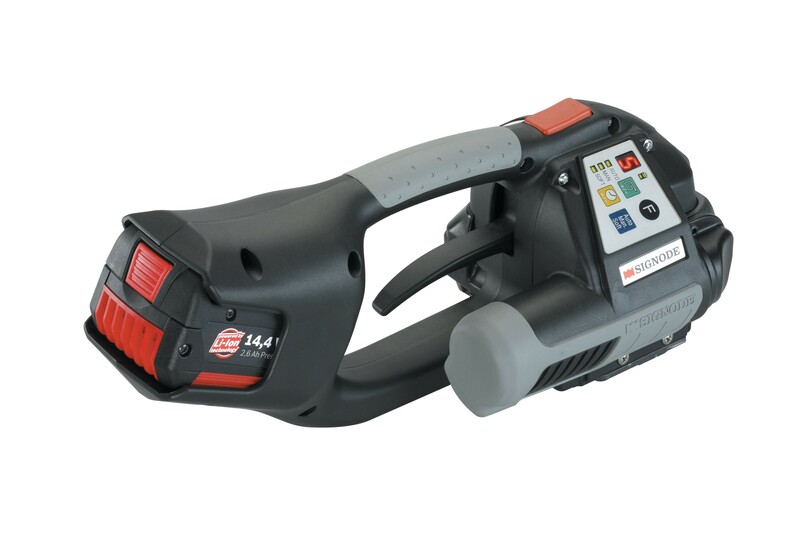 The Friction Weld battery powered strapping tool is one of the most advanced strapping machines in its class. Featuring a fast tension adjustment and a minimal downtime and coil changeover it is a favourite amongst professionals. The strapping machine is comfortable to handle and can be used with minimal effort. It is excellent for use with cardboard boxes, pallets, bales and crates that need strapping quickly and efficiently. Strap feeding is very simple ensuring that time isn’t wasted. A powerful and reliable machine for the professional.